ROK is a high profile free-to-air TV station airing African movies and TV series, supplying only the best quality and newest content to the African diaspora. They can be found on the SKY platform channel number 344. 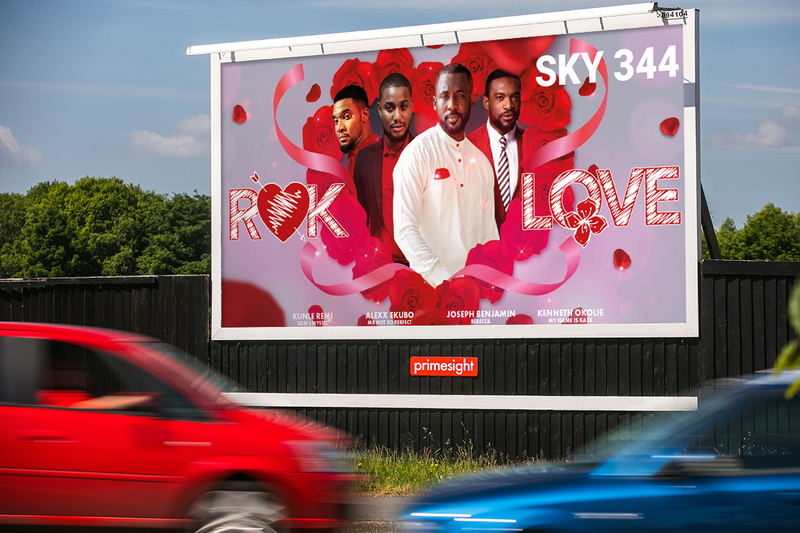 Since their launch in 2016, the channel’s main objective is to reach out to communities in major cities, such as London, Manchester and Birmingham, to create a stronger brand awareness and drive new audiences to their TV channel creating stronger engagement. This included multiply creatives marketing their different shows available on their platform. We needed to reach ROK’s targeted audience and had a limited budget to do this. ROK also wanted to be visible for a 12 month period. 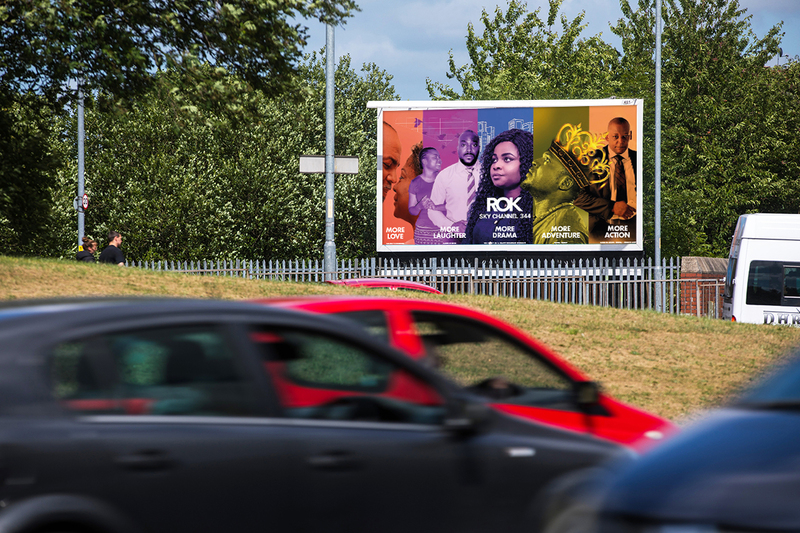 By using our knowledge and geographical understanding, we decided that 48 sheets would create impact and brand awareness within the communities ROK wanted to reach. They would also allow them to rotate creative keeping their potential audience updated with up and coming shows on the TV channel. 48 sheets were positioned in highly popular communities of ROK’s targeted audience in London and Manchester. We were able to plan and erect different copy around numerous locations over a 12 month period in the two major cities. Since the very start of the billboard presence, ROK noticed huge spikes in the channel viewership and social sites. The creatives were vibrant and engaging and drove potential audiences to view the channel. The channel has experienced a 47% audience rise since the billboard campaign. The billboard campaign increased awareness and viewers to ROK TV. Due to Sky TV’s change in channel format in May 2018, ROK’s channel number has changed to 329.